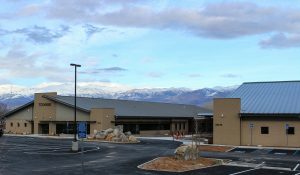 July 14, four months after the $17.5 million clinic opened, the Toiyabe Indian Health Project board of directors voted to suspend Chief Executive Officer David Lent, Chief Operations Officer Rick Frey, Chief Financial Officer Mary Daniels and Human Resources Manager Cyndee Kiddoo, without pay for 60 days while an investigation looks into personnel issues. To date, that investigation has not begun according to board member John Glazier. The TIHP board was sent a letter from Kiddoo’s assistant, Geraldine Weaver maintaining she was not being given the authority to make decisions. The July 14 meeting was called to discuss the complaint. The vote at that initial meeting was 8-4 to suspend the four administrators. As chairman, Glazier could not vote. Glazier resigned as chair; a second meeting was called, the re-vote was still 7-6. The biggest issue for Glazier is the survival of the clinic, built with a $14 million long-term loan from the United States Department of Agriculture and operated with both state and federal grant funds. As CEO, Lent makes the final decision on hires and raises. He had frozen raises, according to Glazier, but when Frey was given added responsibility as COO, his salary increased. But Glazier can’t figure out why Daniels was included in the four suspensions. Glazier contacted the California Rural Indian Health Board to send staffers to work with interim CEO Cynthia Stone and interim HR manager Weaver to help operate the clinic. His concern is keeping medical staff on board and keeping up with the requirements and reporting on the grants. “The doctors and pharmacy threatened to walk,” he said. As for the investigation into the allegations of improper personnel issues, Glazier said the board rejected an offer to handle the investigation from a Sacramento-area law firm. USDA staffers have called a meeting of the TIHP board this Thursday at 10 a.m. at the clinic on See Vee Lane. Apparently, one of the stipulations of the loan to build the clinic was notification of the department of 20-percent of the administration changed. The four suspendees represent 80-percent of the clinic’s administrators. They obviously did something wrong to have all those Board members vote to suspend them. As a community member and patient of this facilty I would want to see true Clinic/Hospital managers running this facility and not the suspended people that are groveling to come back. I would love to know which providers and staff are supporting those suspended because this is a reflection on their own work ethic and feelings towards their patients. The substandard care that we receive from Toiyabe starts at the top. The people that were suspended are all professionals that received no due process. While it’s easy to make accusations, there has not been any investigation to determine the validity of any wrong doing. All the providers and pharmacists are board certified and licensed, so substandard care is a harsh statement when considering the dedication of the providers that come to work everyday at Toiyabe. 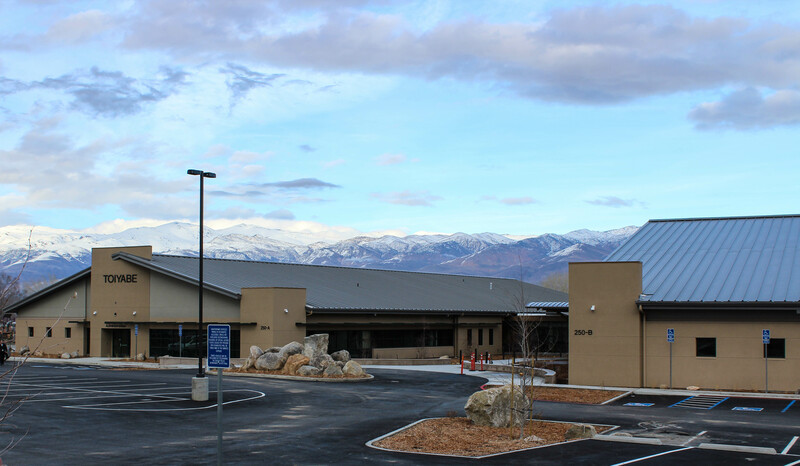 Toiyabe has been providing quality healthcare for over 40 years and has been awarded the clinic of the year by the California Rural Indian Health Board on multiple occasions. The Toiyabe clinic in Lone Pine is a GREAT place,with a great staff for medical and dental…..but my one needed visit to the Bishop clinic,they had a really grumpy,rude woman working the counter at the dental office..
IT’S ABOUT TIME SOMEONE LOOKS INTO THIS ENDLESS MADNESS. Sounds like politics or someone trying to fulfill their agenda. I find it interesting that the person who made the complaint is now the interim HR Manager. It doesn’t appear that the tribe wants to “protect” the investigation in order to gather accurate and unbiased information to make an impartial decision. On the surface it sounds like the stated issue could have been dealt with internally while maintaining jobs. I agree and in this case it’s “tribes” as all the local area tribes are represented in the Toiyabe Indian Health Project. Of greatest concern is the risk to health care for hundreds of people. The board has a great responsibility to continue the high quality health care that has been provided to both native and non-native area residents for many years. The TIHP deserves the support of all, and especially its directors who are ultimately responsible. Lives must not be put at risk. If there has been actual wrongdoing, then that needs to be dealt with. but suspending the entire administration seems like a poor solution to an undetermined problem. I agree. The Board of Directors has a responsibility to all the communities that the Toiyabe clinics serve. Leaving the project without the necessary administration to ensure the ongoing funding streams because of a minor grievance submitted by a lower-tiered staff person is reckless and risks the tribes access to their healthcare. Mr. Glazier’s actions to turn the situation around is commendable and impressive. I hope the situation is remedied before the funding agencies shut the clinics down. Could that happen? If funding is withdrawn, what about the $14 million dollar loan? If the TIHP BODs, which includes two Bishop Tribal council members, allows the loan to default, what happens then? How is the tribe going to make good on 14 million? The casino profits were put up for collateral. Also, the interim management threatened Toiyabe employees to not come to the meeting on Thursday. They had a stack of blank checks ready to hand out final paychecks, as that hard working employee who just wanted information about the future of the organization, would be fired on the spot. Sounds like an exageration as I reread this, but it was not. That is a fact. That’s awful! A total lack of transparency and major intimidation. It makes me think they don’t have anything, otherwise the BOD wouldn’t have an issue sharing information. How can they treat the employees like that? This is all a ploy to stir up trouble and cause chaos from the suspended staff. This is the best paying jobs that the suspended staff has ever had so of course they’re trying any dirty tactic to try and make the board look bad. There will be no defualt on the loan (scare tactic)and it’s business as usual at Toiyabe. Once the investigation is done the board will prevail. Toiyabe has been in existence for over 40 years and has operated under a Board that has strict policies and procedures to follow. Furthermore, how incredibly irresponsible for the ex-Toiyabe Chairman to make these comments and divulge confidential information. Everyone knows that these disgruntled employees are probably behind this negative media. I think you’re measuring the suspended staff by your own standard of behavior. Maybe you would attempt to cause chaos if you were in their positions. Given no notice of a two month suspension without pay, prior to an investigation being initiated reflects gross mismanagement and an abuse of authority. Yeah, right. So now it’s fake news. If you actually knew what the employees of TIHP were feeling and thinking, you would not say “Business as usual”. Why would the suspended staff even want to come back after this? What a mess and what a horrible place to work. Emailing all employees to not support or got to a meeting to try and get answers. I am willing to bet TIHP will lose several employees over this harassing environment. ( heard two have left already). The complainer gets promoted to HR manager and then decided to take a job elsewhere after she has stirred up all this commotion, how cowardly. She must know the truth will come out and she will look even more ignorant. The awful truth is that the board, and the local tribe, have been unhappy with allowing non-tribal members to use the facility, and are removing the non-tribal upper management as an underhanded way of dealing with this animosity. But the reality is that such a facility cannot afford to operate without extending services to non-tribal patients, hence the decision some time ago to open the clinic to the general public. This is tribal politics, plain and simple.